Just a really quick update about the world of Thea’s t-shirts. 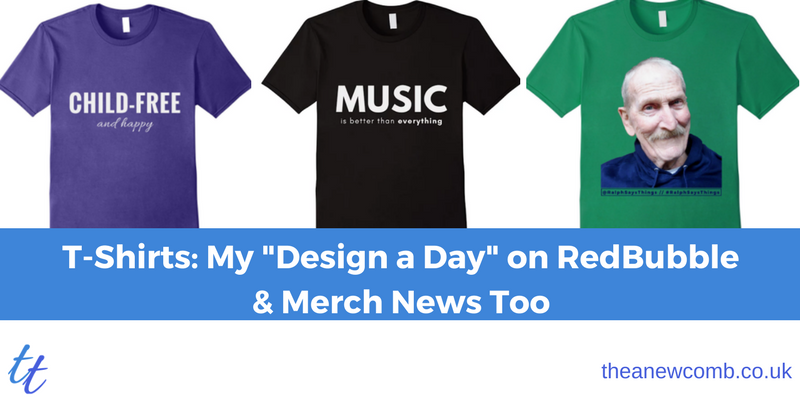 In particular how I am doing a “Design a Day” on Red Bubble & Merch By Amazon Tees too. So this whole t-shirt thing started last summer – when I stumbled across a video about Merch by Amazon. I was desperately trying to find ways to make some money for my dad – via Ralph Says Things . 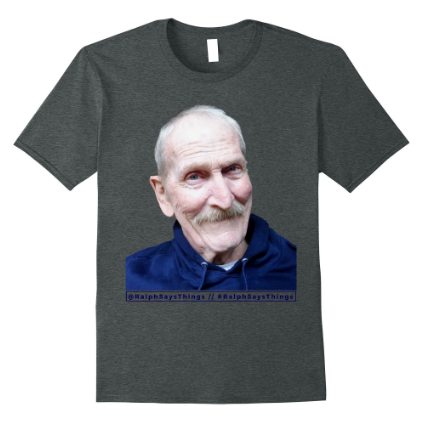 I loved the idea of making a few bucks for t-shirts for the auld yin. The royalties seemed amazing. Like $7.00 if you priced a shirt at $19.99. Not bad eh? At first, I thought it would take a week, or maybe a month, to be approved by Amazon. How wrong could I be? Around eight months later, it finally happened. Last week! Yippee. Within 90 minutes of the shirt going live – it had a sale! Admittedly it was a friend in Michigan, but still. A sale’s a sale. And it was nice to be off to a good start. So as I am writing this blog, I decide to go get the link to said shirt and I see some ASSHAT has actually copied my design EXACTLY – the same font, same style, making no effort what-so-ever to make it his or her own. Charles Caleb Colton said “Imitation is the greatest form of flattery” – but what just happened with that shirt was actually lazy forkin’ theft. Sure go ahead, nick the word, and make it your own, but the asshat stole all of it and that’s decidedly UNCOOL, man. The Next Day was a Ralph Says Things Shirt. Have you been following Ralph on Social. He’s “Ralph Says Things” on everything (e.g. @ralphsaysthings). The whole idea was to give him a bit of a reason for living. Something fun to focus on. It’s not making us loads of money but hey it amuses me, him and a few other folk who follow him so that’s cool. 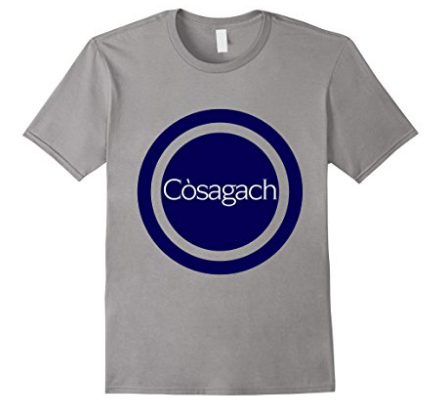 I’m quite pleased with the next t-shirt (which I am sure will be nicked in a matter of minutes…if my random Gaelic one was…) But it’s about my one, true love, MUSIC. 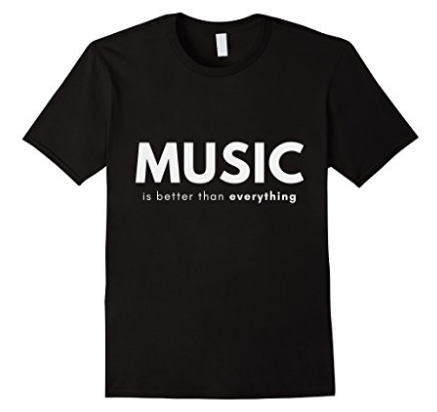 I love music more than everything and so I made a shirt that said as much. If you’re a music fanatic or know someone who is, the please buy it and help me “tier up” to the next level in Amazon Merch. Apparently I need to sell 10 shirts to move up? I think so anyway, we’ll see. 4 shirts in so that means 6 to go. Rock and Roll. Pun intended. The next t-shirt I designed this week was the Canyon City. It’s a private, limited edition shirt you’ll only have access to it if you come to the gig. Find out more on last week’s blog Canyon City Glasgow. If you’re near Glasgow do pop along. It’s going to be incredible. Not sure what I’ll do for tomorrow’s upload. At Tier 10 you can only have 10 designs live. Meanwhile I am seven or eight months in on RedBubble…and on a whim I decided to do a Design A Day for 2018. I’ve mostly been keeping up with it, but rather foolishly realised I’d uploaded the same design twice and now I am one behind (Day 16). So two on Day 17 I guess? The great thing about RedBubble is that all the products can go on a variety of merchandise – mugs, clocks, apparel of all sorts, stationery, and so forth. You can check out the men’s classic t-shirts here. While I am not selling much on RB, I’ve not actually promoted my stuff there much so it’s not too surprising. There are moments I get a bit disheartened but then I remember I absolutely LOVE designing these shirts in Canva and creating these designs. So at the end of the day it’s about the “MindLESSness” and Joy and less about the moolah. For now anyway. I’ve not decided whether my “Design-A-Day” will be for the month of January or if I will try to do it for the year. Well it’s nearly 2am so it’s time to close I think. Please treat yourself or someone else to a t-shirt. If not, then maybe simply share one somewhere. UPDATE JULY 1: You can now go on to read my post at the halfway mark – Design a Day Challenge 2018 and if you’re interested, you can sign up for TeePublc for FREE here via my link.